The family farm is the foundation of our health and security. 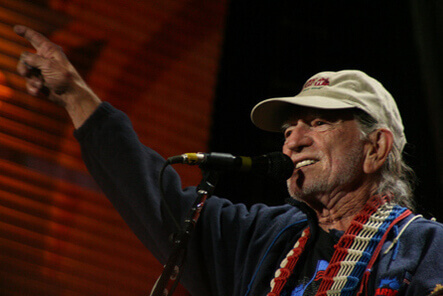 Farm Aid started in 1985 when America’s farmers found themselves in a fight for their farming lives. Today, on a perfect fall day at the Comcast Center outside of Boston, more than 20,000 people are gathered to hear a day of great music, to learn, and to support family farms. The Farm Aid 2008 line up includes Willie Nelson, Neil Young, John Mellencamp and Dave Matthews; as well as Kenny Chesney, The Pretenders, moe., Arlo Guthrie, Jerry Lee Lewis, Steve Earle, Nation Beat, Grace Potter and the Nocturnals, Jakob Dylan and The Gold Mountain Rebels, Danielle Evin, Jamey Johnson, Jesse Lenat, Will Dailey, One Flew South and The Elms. Starting in about 15 minutes (4pm ET), the rest of the concert will be broadcast live on the DIRECTV’s 101 Network, with hosts Carson Daly and Bob Costas. You can also watch and listen at www.farmaid.org. If you miss it live, it will be edited for shorter tv specials to air later this fall. We need a vibrant family farm system of agriculture to address the challenges of the future. Farm Aid is essential to keeping family farms alive.